Decades before Percy and Anna Julian moved to Oak Park in the 1950s, African Americans lived, worked, and owned homes here. 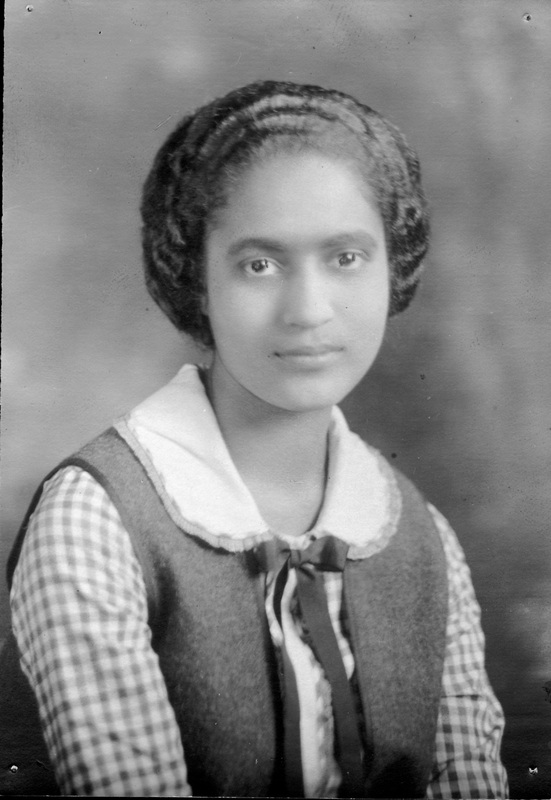 One of those pioneer residents was Faith Jefferson, who in 1923, along with Archie Webster, became the first African-American graduates of Oak Park River Forest High School. Most of the area’s black residents lived near Lake St. and Harlem Ave., but in 1910, Faith’s parents, Fred and Gertrude Jefferson, bought a home on the 600 block of S. Cuyler across from Longfellow Park. While well-regarded by most of their white neighbors, this changed on April 12, 1914, when the family was awakened in the middle of the night by a fire that was determined to have been deliberately set. Chicago’s leading black newspaper, the Chicago Defender, featured the attack on the front page, declaring, “Oak Park has had another attack of colorphobia.” Four white women were taken in for questioning, but no one was charged in the case. Sadly, a second fire in March 1916 caused an explosion which destroyed the front porch; again, the attackers were never caught. Despite these challenges, Faith Jefferson was undeterred from her goal of becoming a social worker, although some of her high school teachers discouraged her and suggested she go into teaching, which was an acceptable occupation for a black woman. She received her B.A. from New York University, and an M.A. in Social Service Administration from the University of Chicago. She married Dewey Roscoe Jones, an editor at the Chicago Defender; following Dewey Jones’ early death, she married Marco M. Killings, a prominent local pharmacist. Her long and distinguished social work career included serving as head of casework services for the John Howard Association, director of Parkway Community House in Chicago, casework instructor for the Cook County Department of Public Aid, dean of women at Hampton Institute, and assistant to the director of Social Services at Presbyterian-St. Luke Hospital. Faith Jefferson Jones died in 1971 and was inducted posthumously into the high school’s Tradition of Excellence gallery of outstanding graduates. For more information on Oak Park’s African American residents, visit the Oak Park River Forest Museum’s current exhibit, “Open House: The Legacy of Fair Housing,” open through 2019. Source: Suburban Promised Land: The Emerging Black Community in Oak Park, Illinois, 1880-1980 (2009); Dewey Roscoe Jones Papers, Chicago Public Library.